There is a new SavingStar Offer available to clip. 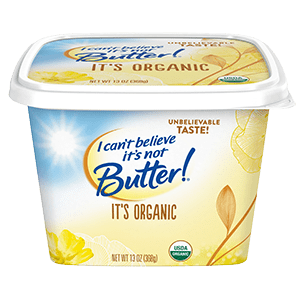 The offer is for Save $2.00 when you purchase ANY ONE (1) I Can’t Believe It’s Not Butter® Organic 13 oz tub. *Hot* New SavingStar Offers Are Up – Pepsi/Mtn Dew, Suave, St. Ives & More! New SavingStar Cash Back Offers Available Including: Dial, Progresso, Yoplait & More!